Fog machines are prone to clogging due to the thick consistency of the fog fluid and the high temperature at which it vaporizes. 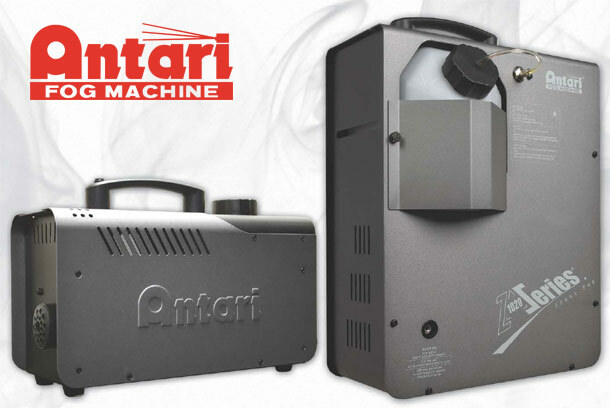 Should your fogger be exhibiting decreased output compared to normal, cleaning should help. Low quality fluid, or additives such as fog scents and colours may clog a fogger’s heater block and decrease performance. And like any type of professional equipment, foggers need regular maintenance. So by cleaning your fogger you will not only maximize its performance – but also extend the life of the machine. Furthermore it can help reduce the frequency of parts replacement, repair costs and overall maintenance. Step 1. Empty your fogger of any left over fluid and discard. Step 2. Fill up the tank with a combination of distilled water, mixed with a third of white vinegar. Step 3. Run the unit in a well-ventilated area until the tank is almost empty, and then discard any left over cleaning solution. Step 4. Wipe down and clean the exterior with a dry cloth. Step 5. Refill your fogger with a small amount of fog fluid and run for a few minutes, or just top-up ready for your next show. Note: Make sure you never store your fogger with vinegar in the lines. Some machines are very particular about the type of fluid used and are only compatible with certain fluids. If you change fluid and notice the machine ‘spitting’ or the quality/density of the fog changing, discontinue use ASAP. Some cheaper fluids will cause the machine’s heater block to be clogged and will cost you more in getting the heater block replaced than you’ve save on fluid. This is more so applicable with larger machines 1000W and higher..
Make sure the machine is always dry on the outside as the body of the machine may corrode if left with fluid on it..
Never allow the fog fluid to become contaminated, as this will no doubt limit performance. Replace tank and bottle caps immediately upon filling, and make sure any funnels or pouring devices are clear of debris and dirt. If the fog machine is not in use, then it is advisable to clean then store in a cool and dry place. You can store your fog machine with fog fluid in it. Keep in a climate-controlled area and on a level surface. It is further recommended that you operate the fog machine once a month. Just warm up the machine and run for a few minutes of fog output, say 5 or 6 decent bursts. Empty out if being left unused for prolonged period of time, i.e. more than a month or more. The fluid is likely to evaporate and change the nature of the fog or at least leave residue in the machine which may be hard to clean out. The Truth About Fog Machines and Smoke AlarmsMusic Activation – More Than Just Set and Forget!